It's no secret NFL teams are concerned with the way quarterbacks are being groomed in college these days. Turn on your TV on Saturdays and you will see a much different game then the one played on Sunday. On Sundays, the QBs, for the most part, all play the same: under center, three-, five- or seven-step drops, and in the shotgun on third down. In college, there are QBs acting as the team's running back, QBs playing in five-receiver sets, QBs running the option. Very few are in pro-style offenses. The most obvious is Stanford's Andrew Luck, which is why teams are drooling at his prospects. Many others, Houston's Case Keenum, Oklahoma State's Brandon Weeden, Michigan's Denard Robinson, Baylor's Robert Griffin III and Clemson's Tajh Boyd, to name a few, will be enigmas for NFL teams when draft eligible. Tough, I say. 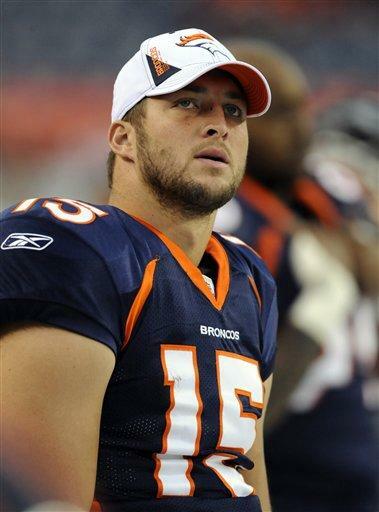 Credit the Broncos, who have scrapped their offense and made it adaptable to the skills of Tim Tebow. Coach John Fox conceded the change, saying if Denver ran its regular offense with the former Florida QB, the Broncos "would be screwed." Maybe if Tebow and the Broncos keep winning it will be proof that an offense other than the "pro-style" can work in the NFL. The league might not have any other choice. College football is a free minor league for the NFL, and it has no control on how college QBs are developed, nor should it ever. Behind closed doors, you know the NFL would like to control development at the college level. Again, tough. Maybe it's time the NFL adjusts to the new influx of college QBs soon to be entering its league, instead of making the college QBs adjust to the NFL. It might make Sundays that much more enoyable for football fans.